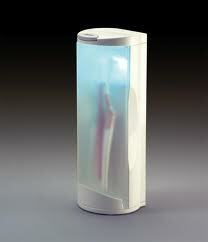 Home » uv » What is the BEST Way to Disinfect a Toothbrush? In my previous blog article, I discussed the debate over whether a toothbrush becomes "contaminated" leading to the practice of throwing them out after a strep throat infection. Although the answer is still ambiguous whether it helps or not, the fact that even NEW toothbrushes contain harmful bacteria brings even more confusion on what to do. Going on the assumption that bacteria on a toothbrush is harmful and if a new or old toothbrush contain such bacteria, perhaps the best practice would be to disinfect toothbrushes on a regular basis. Although the ultraviolet sanitization method is perhaps getting the most attention due to the high-tech nature, researchers have found that though this method did significantly decrease bacteria load, they also have found this method to be the least effective compared to other measures. Rather, the best way to disinfect a toothbrush is by rinsing the toothbrush with Crest Pro-Health mouthwash for 20 minutes OR having it go through a normal dishwasher cleaning cycle. 3% Hydrogen Peroxide was also found helpful. Interestingly, Listerine didn't work much better than air-dry alone and ultraviolet light didn't do much better. Don't waste your money on ultraviolet light toothbrush treatments. Rather, if you already use a dishwasher regularly, stick the toothbrush in there. If you already like gargling with mouthwash, get Crest Pro-Health which can also disinfect toothbrushes effectively. Disinfection of toothbrushes contaminated with Streptococcus mutans. Am J Dent. 2011 Jun;24(3):155-8. Germicidal activity of antimicrobials and VIOlight Personal Travel Toothbrush sanitizer: an in vitro study. J Dent. 2010 Aug;38(8):621-5. doi: 10.1016/j.jdent.2009.08.011. Epub 2009 Sep 23.